Eh I couldn't tell much difference between the other version so its about on par with that. Good production but the rest is tedious and uninteresting. Looks as though he's well and truly given up trying to salvage his brand image, because it's still in tatters after the content here. Not too bad though, he can do far worse. This song does a lot of things, but one thing it certainly doesn't do is remind me of a puzzle. That won't stop me though, so let's have a go!<br><br>http://3.bp.blogspot.com/-2cXJna9m8og/ULAKbV47ZYI/AAAAAAAA57o/mQoSNOS2OsM/s400/PL5030B.jpg<;br><br>I dunno, that looks like a tough one Luke, maybe I could spare a hint coin here.<br><br>http://4.bp.blogspot.com/-VC-Q-bhkPkA/ULAKL64-whI/AAAAAAAA56k/Tz4Ny_o6pBA/s400/PL5030H1.jpg<;br><br>Ah, that's deductive thinking, certainly makes it easier to map out the problem, but I'm still not confident yet. Maybe I'll try another one.<br><br>http://1.bp.blogspot.com/-bctQWdjQxrg/ULAKM2JfRsI/AAAAAAAA56s/gVAzLX-6-Es/s400/PL5030H2.jpg<;br><br>OK, starting to get this, but I wouldn't want to fall prey of some sort of trick here on what is really just a 50:50 question. Maybe the 3rd hint will fully lay it out, so to speak.<br><br>http://2.bp.blogspot.com/-LsHdTd_4qsY/ULAKNXr6RFI/AAAAAAAA564/Aiq_xkIC94U/s400/PL5030H3.jpg<;br><br>Ah, well that's half the answer right there, but we do need the second half, if we REALLY want to confirm it. As much as I hate having to make my pride suffer, it's time I use the super hint.<br><br>http://1.bp.blogspot.com/-tc8zeOOEY2g/ULAKOJF2MJI/AAAAAAAA57E/emjCGK83Kfk/s400/PL5030H4.jpg<;br><br>Ah, the answer must be A. I feel so clever now; give me my Picarats!<br><br><br>What I'm trying to say is that Chris Brown is the only person who can possibly make it even more easy than what I've just done there. If someone else's song was built around 'these hoes ain't loyal', I'd find it questionable, but maybe I could back it with context. Oh how the context is oh so unflattering here though. In fact now this just depresses me with the fact that Chris Brown's post-ousting as not a lovely person career, has not just surpassed the pre-portion of that, but it's now about to hit 5 years, and thus surpass the length of my awesome puzzle solving era :(<br><br>The beat is alright I guess, but this feels like so much of a non-event to me and not very interesting compared to other songs he's put out recently. At least the single cover is so bad it's amazing. Maybe one day his music will reach the same peak. Bad. Chris Brown looks like a criminal these days. Very unappealing look and very unappealing music. I don't know how but I'm starting to like it now. The beat feels like some awesome R&B beat and Chris Brown's voice isn't that bad. Bad lyrics but the overall sound could be much worse. Time to put this in the wheelie bin and roll it right up to the curb. It deserves nothing better.<br><br>The production only scrapes by on just being alright, but the lyrics are absolute garbage.<br><br>Painful. It's quite a trainwreck and that cover art alone gives me nightmares. Bäh, kann solche Musik nicht ausstehen. 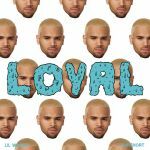 absolut geile single von breezy.